Turn Your iPhone Into a Retro Mac Computer with M4 by Elago. · VINTAGE DESIGN: View your iPhone through a blast from the past. 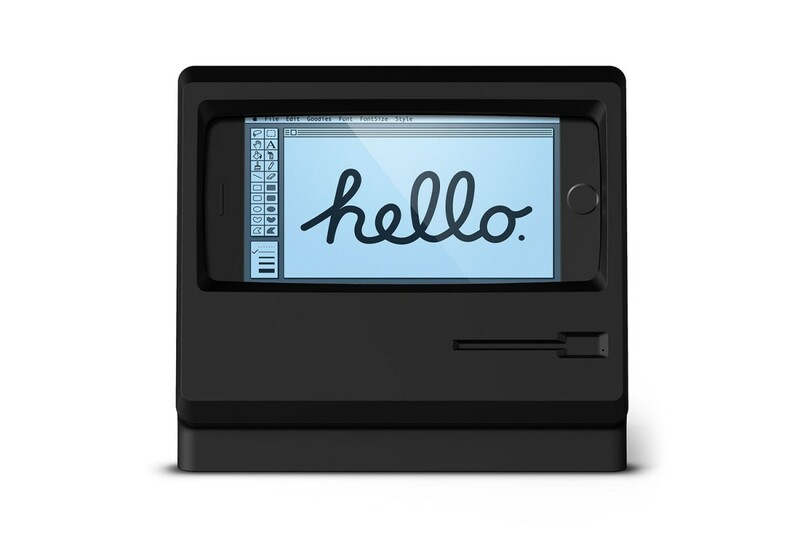 Your iPhone fits perfectly into the stand and transforms it into an old Apple monitor. · EASY TO USE: After installing your lighting cable, simply put your iPhone into the stand and plug it in! Your iPhone is now charging and ready to be used to watch movies or surf the web. · MATERIAL: The M4 Stand is made with scratch-free silicone to prevent damage to your iPhone and cable; the material's unique properties allow the stand to feel soft to the touch and provide weight to plant your stand on any flat surface. · COMPATIBILITY: Stand is compatible with iPhone 7, iPhone 6S, and iPhone 6.